Join former CDC Director and Surgeon General, Dr. David Satcher and Dr. Leandris Liburd, Director of CDC’s Office of Minority Health and Equity, in a discussion of the history and successes of the REACH program and the importance of addressing health disparities at the state and local level. This will be followed by a panel discussion where current and former REACH recipients will reflect on their experiences and successes to promote health equity. This session will conclude with an award presentation in memory of Lark Galloway-Gilliam, the past Executive Director of the Community Health Councils of Los Angeles and a founding member of the National REACH Coalition. 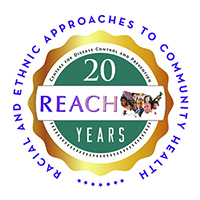 Plan to attend the REACH 20th Anniversary networking and education exhibit immediately following the session.